I just want to start with Stuart Weitzman by mentioning that my first heels were Stuart Weitzman, My Prom shoes were Stuart Weitzman (I wore the same pair twice) and I generally love Stuart Weitzman. He has been in business for 25 years now, and is both a businessman and a designer. 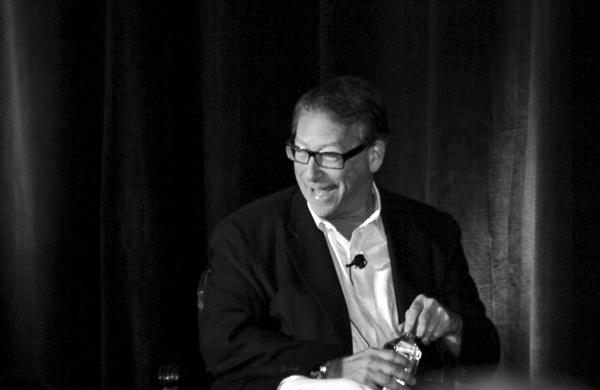 A perfect combination of right and left brains, which he states is “an advantage, not a challenge” and although “not necessary, it is an asset.” He believes that “the first hero every girl meets is a shoe,” and the best advice he can give to young designers is that they have to love the business and be passionate about what they do. He visits his factories, all 13 of which are located in Spain, frequently, and enjoys playing ping pong. And he didn’t even mean to be in the business. Stuart Weitzman has owned his business since 1986, but he has owned all his factories since 1976. He wasn’t going to go into the family production business, but when his father died, he helped run the factory, and loved it. He has been known to be at the trade shows in person, and stay until 10 or 11pm. And it’s been that way since he was 21, he’s hooked. Yet, he still refers to it as just a hobby. His designs and shoes, some courtesy of younger designers (probably one of the reasons his shoes are still current) are some of the most popular, and he is always careful to think through the business side of a design. How will it be made? Will it sell? And one of his most important rules is that a shoe must be comfortable, because why not? Stuart Weitzman has an international presence, but when he first started selling in other countries, he wasn’t even thinking about globalization, because the term hadn’t really been invented yet. Weitzman asked his brother, who lived in Spain, to put some of Stuarts’ shoes into his (brothers) store, and it grew from there. Weitzman credits his brother with teaching him that the U.S. wasn’t the only place to make shoes. He learned what the rest of the world could offer, and he was just trying to improve his brand image, not conquer the world. He does sell the most shoes in London, however, and sees Asia (and the internet) as the biggest places for potential growth, though he seems perplexed by the bought of online shoe shopping- “I just wonder, how can you buy a shoe that fits online?” Well, personally I just ballpark it, and probably waste a lot of money on shipping and returns. Weitzman recently launched his higher end line, SW1,which features more exotic skins and higher heels. Literally just launched a few days ago, so nothing to buy yet, just to dream about. Weitzman stresses that to make a good shoe and sell it, it has to work, it has to fit, and it has to repeat-able. SW1 still adheres to those principles, but with just a few more centimeters or a more cutting edge design. And he’s still going. Ok everyone. I need a little help deciding to which shoes I should wear for the WWD FN Summit in New York on Monday . Since it’s all about shoes, my feet obviously have to look their absolute best. Which of these do you like? Or, since the founder of Toms is speaking, should I run out and buy some new Toms? 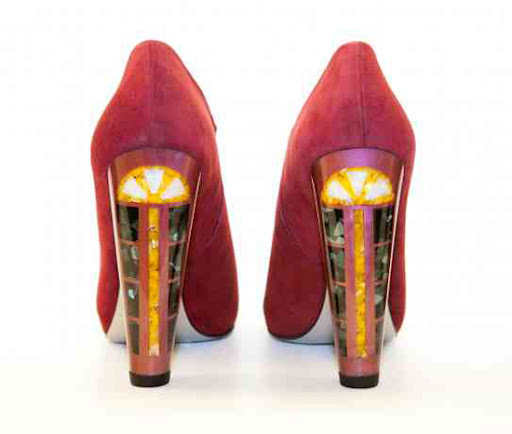 Or some Tabitha Simmons shoes? A big thanks to Jack Lucas for the pictures! Hello World! I have returned from the depths of the school work pit, and I have some exciting news! Next Monday, I will be blogging for the Footwear News WWD Summit! For those of you who don’t know, the WWD Summits are like big conferences, and each has a specific purpose. There have been beauty summits, denim summits, and so on. Each has speakers involved in the industry, and to go you have to be working in that specific field. For this particular summit, the topic is..SHOES! My fave topic, obviously. Speakers include Stuart Weitzman, Rebecca Minkoff, Tabitha Simmons, The Man Repeller, and Blake Mycoskie, Founder of Toms. This is the first time they have invited bloggers to participate, and I will be among an impressive group, including Stylesight, Clyde from Inside the Sneaker Box, Luxury Daily, and The Quest For It. I will be live blogging, tweeting, maybe facebooking or pinning, all whilst asking questions and basking in the glory of all the awesome attendees, speakers, bloggers, and the like. I can’t wait! Stay tuned!